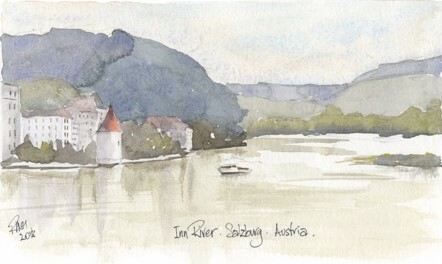 This February, the Cathedral is delighted to be hosting ‘Danube & Beyond’, an exhibition of watercolours by associate priest Fr Ray McInnes, painted during a river cruise through central Europe in 2018. All are invited to attend the exhibition opening at 12pm on Sunday 17 February (immediately following the 10.30am Choral Eucharist). Limited edition paintings and prints will be for sale, with proceeds going towards the upcoming appointment of a Canon Missioner for St Paul’s Cathedral. Drinks and nibbles will be provided – please RSVP to Fr Ray by 11 February, for catering purposes. ‘Danube & Beyond’ will be on display in the Cathedral’s Transept Gallery until Easter.